Bella Design is rated 4.2 out of 5 by 53. Rated 5 out of 5 by amylmenke from Fun I have played this game multiple times and enjoy it a lot. I recommend it. Rated 5 out of 5 by franzi501 from I love it! Thank you for producing this game! I'm always rather desperately waiting for the next decent, fun time management game. I'm not at all into hidden objects. This game may be "old style", but I really enjoy playing it, it's fun, but also challenging.The graphics and details are awesome. I also love how you can get upgrades inbetween levels. I'll definitely buy it. Please more games like this! Rated 5 out of 5 by cutekittykimmy1 from Love this game This is a game that you can play over and over again and try and beat your last score. Great graphics and the challenges of each level is also good. Well worth you trying the free trial to see what you think of the game. Rated 5 out of 5 by SumrBrz33 from Awesome Game! 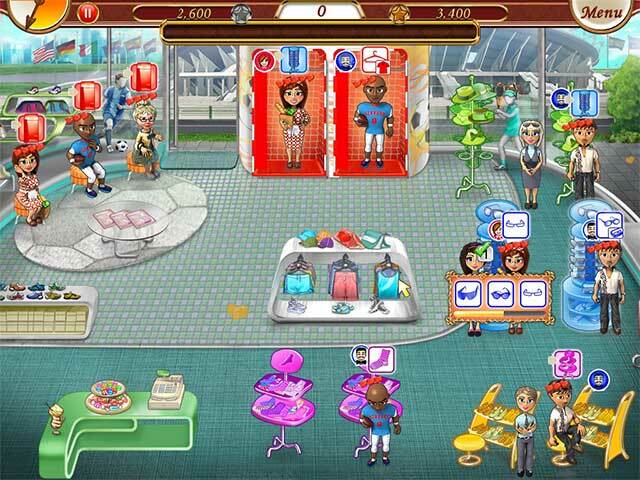 There are such few excellent Time Management games. This is definitely in that list. Please bring more games like this. Challenging, fun & great graphics! 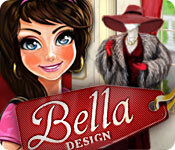 Rated 5 out of 5 by Bellaemily from Bella Design is one of my TM favorite games! Everyday I can't wait to play BD. Beautiful graphics. 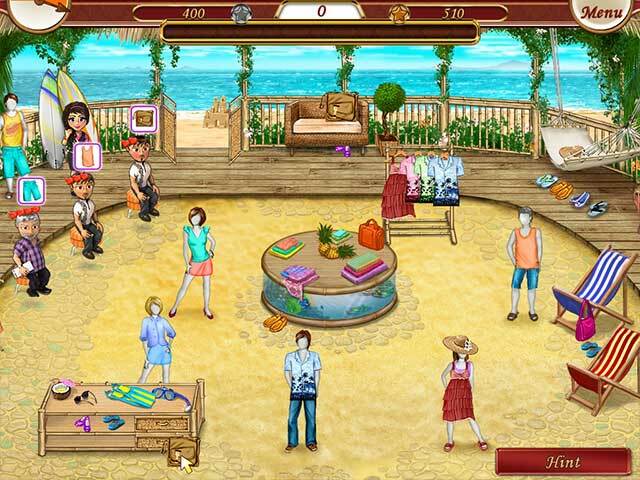 If you like fashion and shopping this is the game for you. It's challenging and fun. I wish they would come out with another Bella. Highly recommend! Rated 5 out of 5 by crazylove6203 from i totally love this game! This game is great.The levels are easy. But up into the game they get a little harder.In my opinion i totally love this game.If you like dash games you will love this game. It is mostly girly so girls should love it.Boys can like it but mostly girls.The graphics are dazzled,the people are desighed so so good.There are boy and girl customers.Thank You.Vote 5 star.Bye Bye. Rated 5 out of 5 by impulsive1 from Wish they had a sequel This game totally needs a sequel, perhaps set in Europe. I have enjoyed playing this game. Good challenge but not so much that it is stressful. You have plenty of options to decorate her home and the boutiques that you can replay the game lots of times and still never do all of it. If you love time management games with elements of design this is the game for you! Rated 5 out of 5 by HRHLisa from Great Time Management game - MORE PLEASE!!! It's about TIME we see a game like this - long overdue! This game was challenging, which I love. I played several levels repeatedly until I got the Expert. I've played it through 4 times now and will probably play several more because there is a severe lack of PC time management games on the market that do not involve land management. 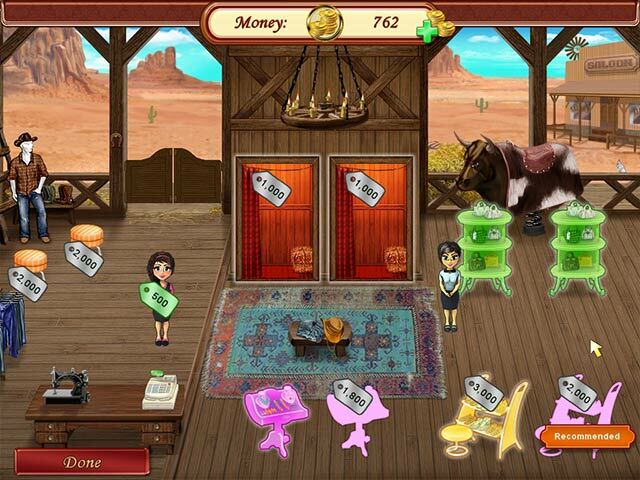 If you like this game, you'll also like Wedding Salon by the same developers. Similar format. Rated 5 out of 5 by dariusenka from Old style, but a lot of fun The design of the game is old, but cute. The level of challenge is excellent - I have played dash and TM games for 15 years, so I consider myself an expert. You never run out of updates in shopping, but the increase of money is slow, which makes you think. Very fun, very addictive game.